Speech therapy (Speech-Language Pathology) is treatment that focuses on improving a person’s ability to communicate effectively and eat safely. Our goal is to improve speech, language, voice, cognition, and swallowing. We will assess the challenges in these areas and provide treatment to enhance the client’s ability to communicate with family, friends, and doctors, as well as make safe, competent decisions. Speech-Language Pathologists are skilled specialists in identifying and treating swallowing difficulties that otherwise may go unrecognized. 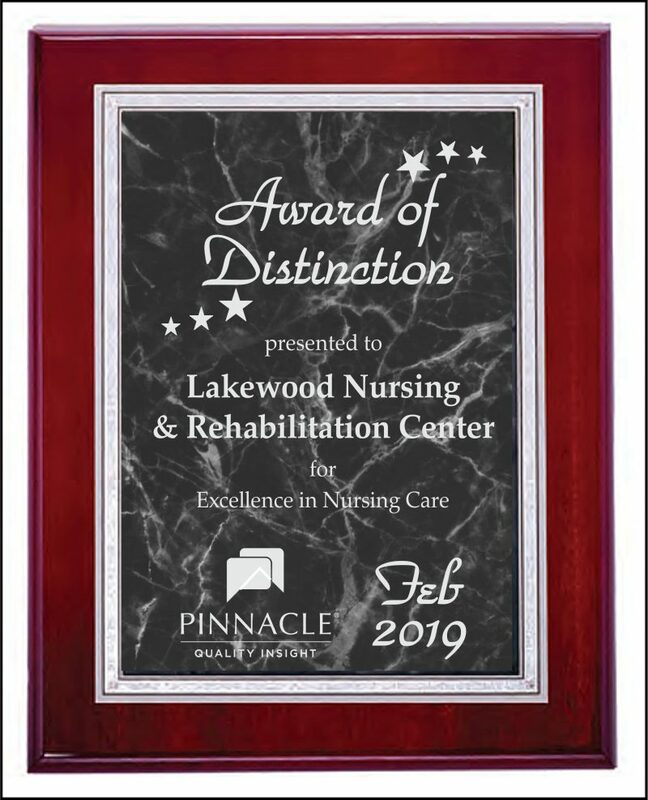 As with all of our therapies, Lakewood Nursing and Rehabilitation Center focuses on the needs of each individual under our care to help increase their quality of life and insure their safety. Speech Therapists at Lakewood Nursing and Rehabilitation Center help patients learn to communicate again following a stroke, accident or other illness.